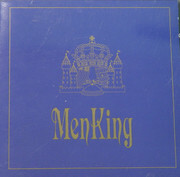 Here's your chance to get an original CD called MENKING - S/T. This rare 10 track CD was released in 1994 on Midwest Records. Yet another unknown melodic hard rock/AOR indie treasure. 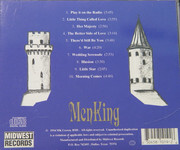 MENKING are a Texas based band that plays awesome AOR and reminds me of LADEN "Politics Of Life", LOVER'S LANE, DELLA STREET and even some STYX!!! Last edited by Dare-Devilina on 24 Feb 2015, edited 1 time in total. А вдруг там снова ... Техасские Вампирос? Почти классический хард-рок с небольшой примесью АОРа.